It's impossible to count all the wonderful things that science has delivered to man, unless that man is Bill Nye, in which case, it's actually $124 in monthly residuals. 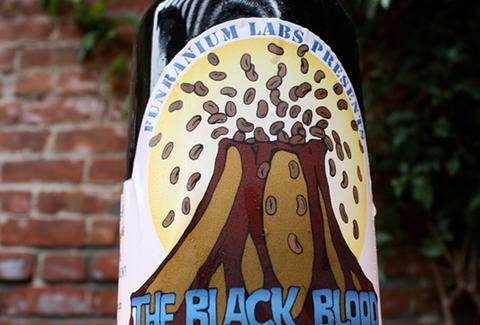 Now another Science Guy is making your mornings sweeter, with Black Blood of The Earth. The genius invention of a UC Berkeley-working physicist who has both disarmed a nuclear weapon and, even crazier, bartended in Antarctica, BBOtE's a coffee concoction with 40x the caffeine of a normal cup, achieved via cold-vacuum-extraction, which might also be a good call for your living room carpet. Bottles're available in limited quantities of four sizes (ranging from 375ml to 4L) in a slew of different varieties, including a dark roast from Sumatra, mediums from Kenya, Ethiopia, and Kona, and a mild roast from Panama, which is great to drink when you're in a Van while it's Halen. 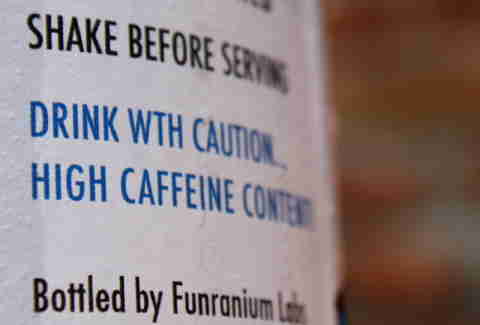 If that's not enough, he also just added a roast made using the most highly caffeinated bean in the world, which is called Death Wish -- so potent it can give even an old fat man the pep to kill hundreds of gang members. Each bottle comes with a how-to-drink guide w/ instructions on making lattes, Americanos, etc., and if you don't want to pay shipping, you can pick up from a dealer in LA who kind of resembles your favorite morning science guy, though he'd probably De-Nye it.